*Thanks to Sarah and St. Martin's for sending me this one to review. I can't wait to read it. I think it sounds like the perfect combination of historical fiction and fantasy. Goodreads says, "Lady Victoria Mansfield, youngest daughter of the Earl and Countess of Fairmount, is destined for a charmed life. Soon she will be presented during the London season, where she can choose a mate worthy of her status. Yet Tory has a shameful secret—a secret so powerful that, if exposed, it could strip her of her position and disgrace her family forever. Tory’s blood is tainted…by magic. When a shocking accident forces Tory to demonstrate her despised skill, the secret she’s fought so hard to hide is revealed for all to see. She is immediately exiled to Lackland Abbey, a reform school for young men and women in her position. There she will learn to suppress her deplorable talents and maybe, if she’s one of the lucky ones, be able to return to society. But Tory’s life is about to change forever. All that she’s ever known or considered important will be challenged. What lies ahead is only the beginning of a strange and wonderful journey into a world where destiny and magic come together, where true love and friendship find her, and where courage and strength of character are the only things that determine a young girl’s worth." *I received this ARC through Around the World Tours and I already read and reviewed this sizzling hot book. Check out my review. Goodreads says, "Jazz . . . Booze . . . Boys . . . It’s a dangerous combination. Every girl wants what she can’t have. Seventeen-year-old Gloria Carmody wants the flapper lifestyle—and the bobbed hair, cigarettes, and music-filled nights that go with it. Now that she’s engaged to Sebastian Grey, scion of one of Chicago’s most powerful families, Gloria’s party days are over before they’ve even begun . . . or are they? Clara Knowles, Gloria’s goody-two-shoes cousin, has arrived to make sure the high-society wedding comes off without a hitch—but Clara isn’t as lily-white as she appears. Seems she has some dirty little secrets of her own that she’ll do anything to keep hidden. . . . Lorraine Dyer, Gloria’s social-climbing best friend, is tired of living in Gloria’s shadow. When Lorraine’s envy spills over into desperate spite, no one is safe. And someone’s going to be very sorry. " *I received two posters, a ton of buttons and bookmarks, which I promptly gave out to my students. They were thrilled! I have a poster proudly displayed in my classroom, too. Also, I have a few pieces of swag left over and may host a giveaway soon! Thanks to SLJ for sending me this! *I won this ARC through Reading Vacation's giveaway. Thanks, Melina! I'm excited to read it. Goodreads says, "My name is Meghan Chase. I thought it was over. That my time with the fey, the impossible choices I had to make, the sacrifices of those I loved, was behind me. But a storm is approaching, an army of Iron fey that will drag me back, kicking and screaming. Drag me away from the banished prince who's sworn to stand by my side. Drag me into the core of conflict so powerful, I'm not sure anyone can survive it. This time, there will be no turning back." Great books, Christina! I had a little book splurge this week and Vixen was one that I bought. Can't wait for it to arrive, especially after reading your review, which I loved! The Vixen is high on my want-to-read list! and I loved the first book in the Iron Fey series! 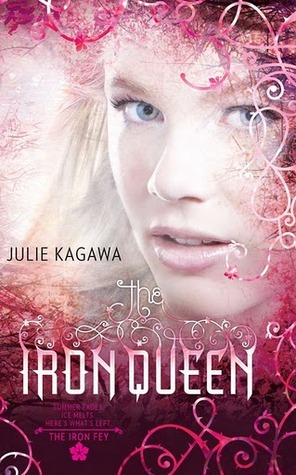 I just read The Iron Queen and thought it was the best book in the series so far. I hope you enjoy it too! 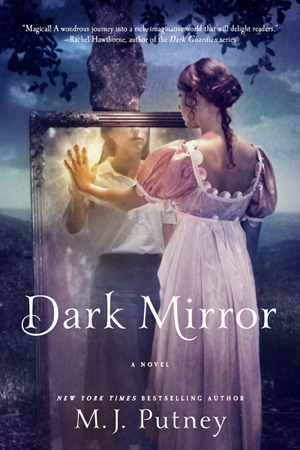 Dark Mirror is on my TBR list. I look forward to your review of it. I will have to check out your review of Vixen. I wasn't able to finish it when it was my turn on the tour. I may have to try it again sometime later this year. Dark Mirror seems to be popular! Fantastic books in your mailbox this week. Bought The Iron King recently but have yet to get around to reading it. Dark Mirror and Vixen look like equally fabulous reads. I hope you enjoy them all. Ohhh I am so jealous of your awesome haul! :) Can't wait to hear what you think about all those books. I haven't read any of them yet. Happy Reading!! I am very much looking forward to Dark Mirror. I really like Putney's adult historical romances. Happy reading! Great reads! I really want to read Dark Mirror and Vixen. I loved Iron Queen. Wow you got Putney and Iron Queen. That is an amazing win! Dark Mirror-I'm so jealous! Can't wait to hear what you think! I have Vixen on my shelf sadly still waiting to be read. Congrats on your win of The Iron Queen. 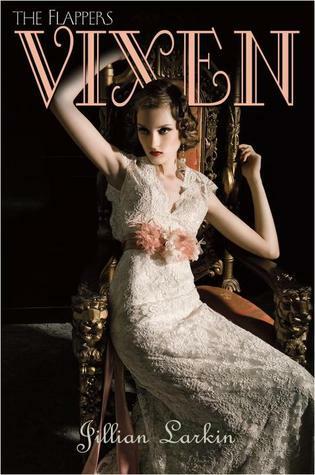 Vixen is in my TBR pile and I'm getting a copy of Dark Mirror soon :) Great mailbox! Oh, and I received my copy of Last Sacrifice. Thank you so much for it! Nice mailbox! Everything looks good, but I can totally vouch for VIXEN. Can't wait to see what happens next in this series... Happy reading! Thanks for checking out my mailbox, everyone! Happy reading!